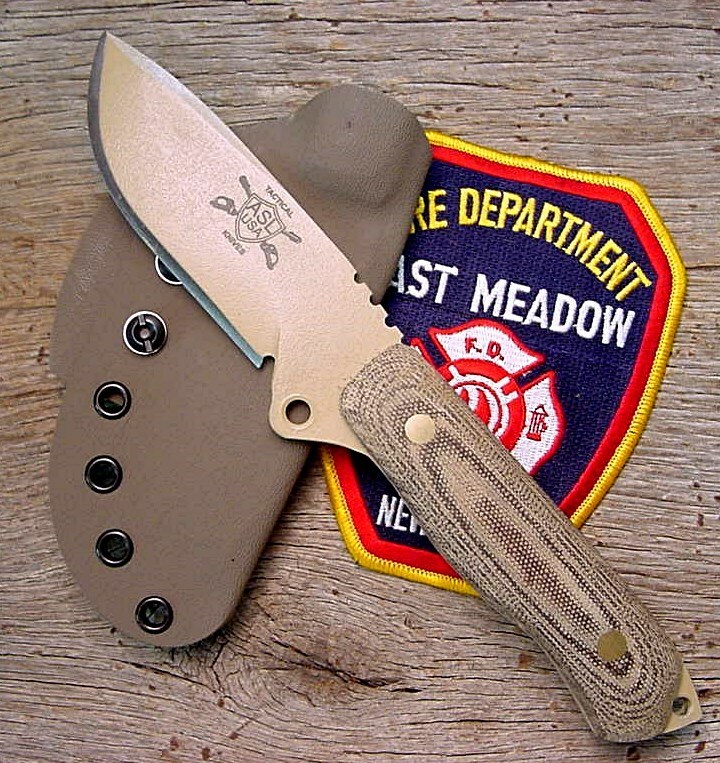 In June, 2015 we took delivery of our NEW FIRST RESPONDER knife with a 4″ blade. This ASL tactical knife has been totally redesigned as to size, feel and balance. The same tough features in our other knives are in this one also. 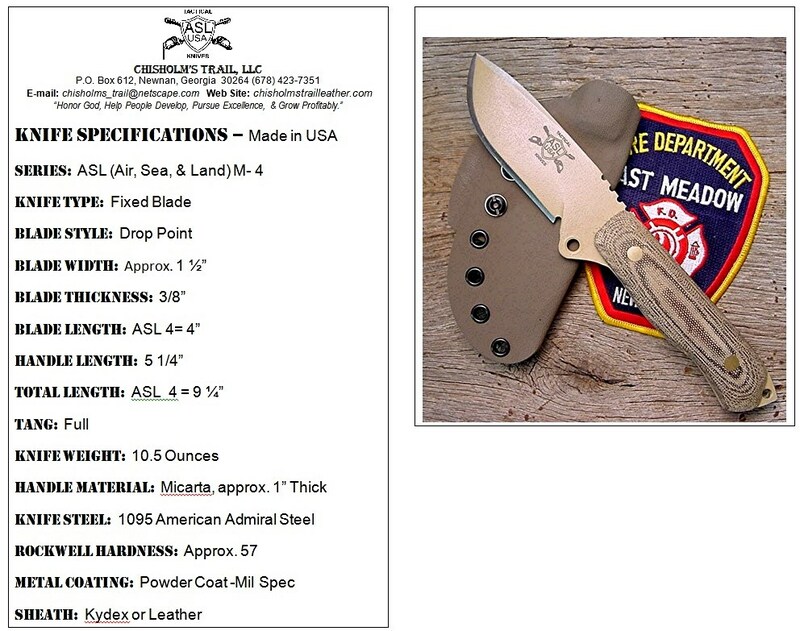 The Search & Rescue knife will be just as tough as its larger brothers, the ASL-5 and 6 . The only difference will be a shorter 4″ blade and a slightly shorter thinner handle. In addition, we have left the hand guard on the sharp blade side and put serrations on the flat side for secure grip. Note the new laser etched logo and ability to serial number knives. Currently available in Stealth Black with Carbon fiber sheath, or Desert Tan with Rare Earth color kydex sheath. Multi-use belt clip will be included and allow wearing in over 20 different positions including horizontal and vertical. Also an alternate way of securing with a Malice clip. Order yours now. Suggested list price $239.95, without sheath. The 4″ blade should be legal for open carry in most states. From the response at the Blade Show- this will be the one everyone wants. 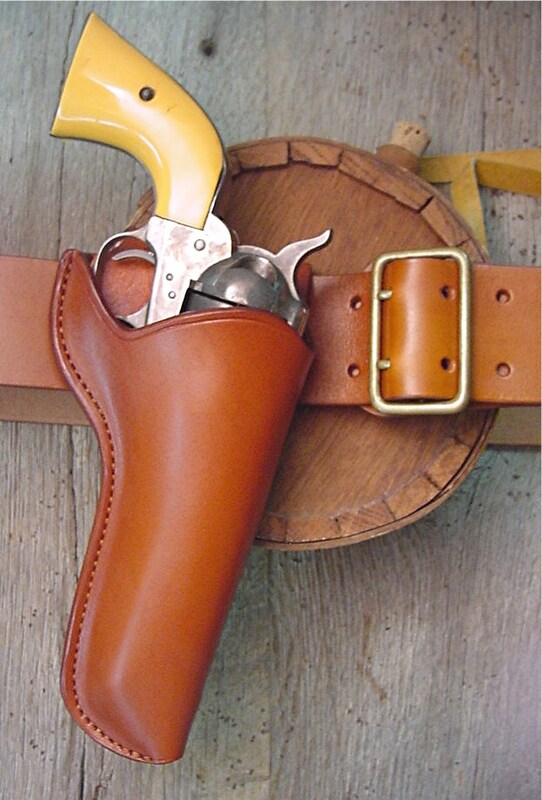 Chisholm’s Trail Old West leather has been making gun leather for about 15 years. We rapidly found that our niche and what we really enjoy doing was researching and recreating historical cowboy gun leather. We have found some of the most famous rigs from the old west, partially by scholastic research, a large dose of luck, and traveling thousands of miles to examine the original. Are our resurrected gun leather creations perfect, probably not, but they are as close as we can get without disassembling the rig and laying it out flat and tracing a pattern. 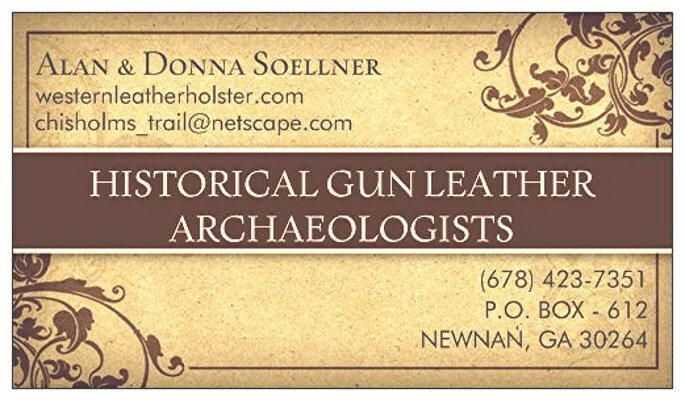 One of our best customers coined a new term “Historical Gun leather Archeologists ©,” for what we do. Our best description is the scientific research of historic old west outlaws, lawmen, and others. Analyzing their culture, all known artifacts, gun leather, buckles, inscriptions, wanted posters, writings, signatures, photos, paintings and other such remains and relics, especially those that have been excavated, discovered, sold, or handed down in families. Tracking provenance is paramount in this search. Hours must be spent on the internet, in libraries, reading books, periodicals, and newspapers of the period. A potential target is then located and a personal visit is scheduled. This is where we found it critical to develop personal relationships with museum curators and owners of authentic old west gun leather. We created our own “C.S.I” kit with white acid free gloves to handle old fragile leather. Magnifying glasses, tape measures, high intensity flashlights, leather gages, and a very high resolution camera are some other contents. We developed a Historical Gun Leather Archaeology analysis form that we use to record findings such as stitches per inch, width and thickness of the leather, markings including tooling, stamping, and maker’s names. The type of gun, barrel length and caliber are critical items that we record. When we have accumulated enough data we reproduce the holster, belt and buckle for posterity we return to the shop and study all the data. If we do not have the stamps or other features that are on the leather we get replica stamps made so we can reproduce all of the features possible. 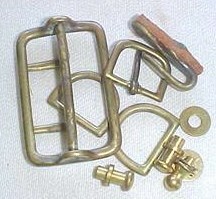 This gets expensive and difficult when we have to employ an artist and jeweler to recreate a buckle, an engraver to apply the design, a mold maker, and a foundry to cast the buckle. 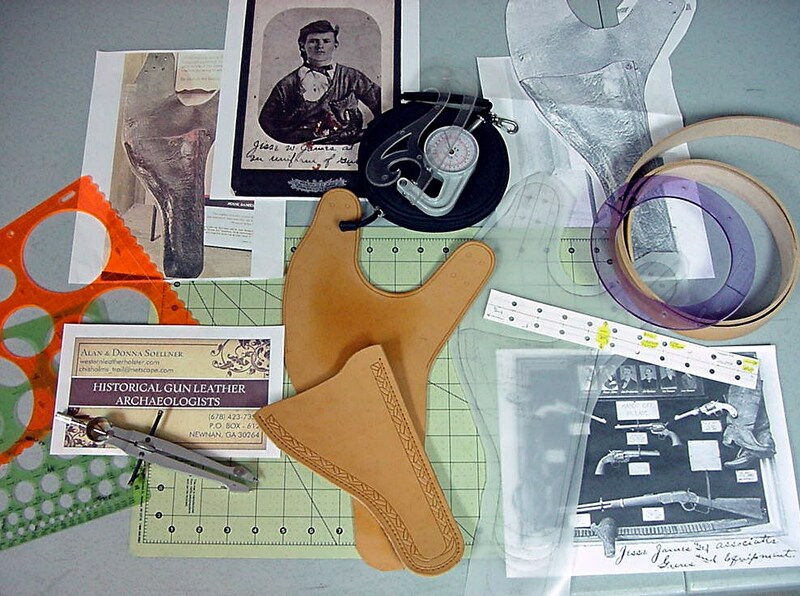 Chisholm’s Trail Leather currently has over 600 individual patterns to recreate holsters, belts, buckles, knife sheaths, saddle bags, rifle scabbards, pouches, spur straps, hat bands, and other cowboy leather gear. Each pattern is in a labeled manila envelope stored in alphabetically organized penda flex hanging files in file cabinets.